Auburn Chamber members are eligible, as a part of their membership benefit, to take advantage of the Think Auburn First Marketing and Communications Program for their business or non-profit. The mission of the program is to "create an economically vibrant, healthy and environmentally sustainable community by encouraging residents and business owners to purchase high quality goods and services provided by Auburn businesses. 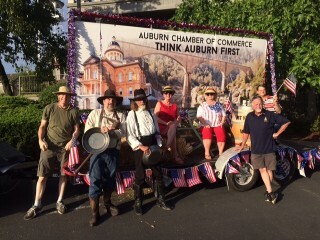 The Auburn Chamber assists members in communicating this message via storefront displays, local newspaper and radio, Chamber's website and shop local events. 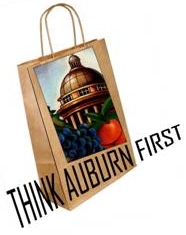 Contact the Chamber to find out more about our Think Auburn First program.